Chevrolet’s 2017 Corvette Grand Sport will carry a starting price of $66,445, the Detroit automaker announced on Friday. The convertible version of the Corvette Grand Sport will retail from $70,445. Both prices include destination. Full pricing with option packages will be available May 13th and Grand Sport orders will begin May 1st. There will be 360 possible color and stripe combinations on the Grand Sport! 2017 Production will begin last week of June after a two week maintenance shut down, cars will be arriving at dealers in late July – early August. 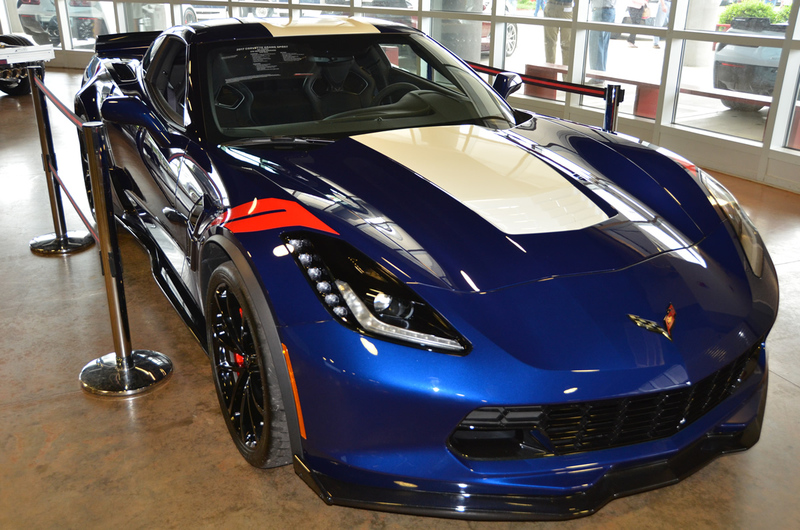 Over 37,000 2016 Corvettes have been built and approximately 1/3 are Z06s. 81% of Stingrays are equipped with the A8 – automatic transmission. 71% of Z06s are A8 – automatic transmission (66% of C7.R Special Editions built), 36% Z07.